Named Swaziland by the British colonial powers, this tiny nation has now expressed its deserving right to self-determination and, as it is known in the local language, will now be called eSwatini. However, if you’re not hugely into African politics (because, let’s be honest, it’s not made the international news) it’s likely you still think this landlocked kingdom is called Swaziland. And that’s why I’ve used this name in the title – quite simply because that’s what people will be typing into Google if they’re looking to travel here. But be under no illusion, eSwatini it is in my mind and astoundingly beautiful it is too. 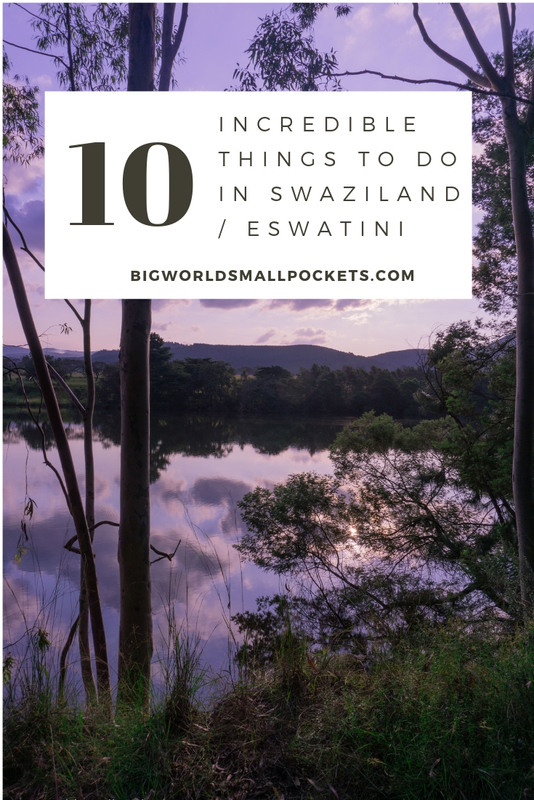 So here’s my list of the top 10 things to do in Swaziland / eSwatini. My trip to eSwatini (formerly known as Swaziland) was kindly sponsored by African Budget Safaris, but, as always, all views are my own. Coming in at number 1 on my list of the best things to do in Swaziland / eSwatini is safari up to the max! That’s because this small country, boasts at least 4 national parks that are delightfully uncrowded with tourists, but chock full of wildlife. 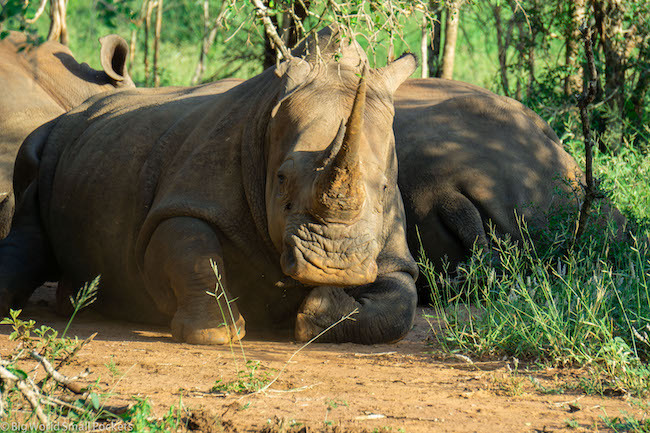 And top of many people’s list is to spot a rhino, which have been thankfully protected in large numbers by this country’s strong anti-poaching stance. 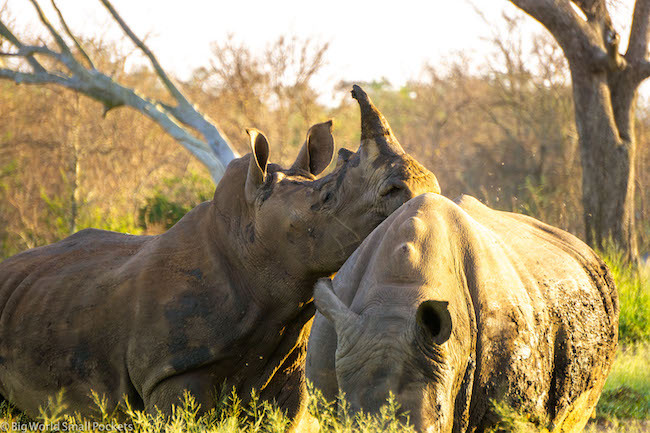 In fact, it’s probably one of the best places in the world to see rhinos and that’s quite a claim! And the best place to do this in Swaziland / eSwatini is Mkhaya Game Reserve, so definitely put this place on your list to have a great chance of spotting both the black and white variety. But if you want to go one level up and not just see rhinos close up from the safety of your vehicle, but actually get out of your 4×4 and walk up close to them, then I’m happy to inform you rhino trekking is definitely one of the best things to do in Swaziland / eSwatini. And honestly, I can say from personal experience, this is every bit as amazing and terrifying as it sounds! Definitely one of the highlights of my trip to this country with African Budget Safaris (who are complete pros at helping arrange your Swaziland experiences FYI) we got so near to the rhinos in Hlane Royal National Park, I could hardly believe it. But I have to say our professional, local guide definitely made us feel at ease the whole time and our safety, as well as that of the rhino, was certainly paramount in his mind. African Budget Safaris are a family company, operating out of South Africa, who are complete pros at ensuring you get the best trip in their incredible home continent. With years of experience, I’ve personally met the lovely couple who own the company, and can definitely attest to their passion for sharing Africa with the world! Offering a huge range of tours across Southern and East Africa, and with budget always at the forefront of their minds, these guys are the perfect choice for ensuring us shoestring nomads get to see as much of Africa (including those off the beaten track spots like eSwatini) as possible in the most rewarding way. Specialising in group trips, African Budget Safaris are also perfect for solo adventurers, as travelling with others means you’ll automatically make friends with people from across the world and get to share your unforgettable Africa with them too – perfect! And in both the national parks I’ve already mentioned, as well as others throughout this country, you get the chance to camp out under those amazing Swazi skies. 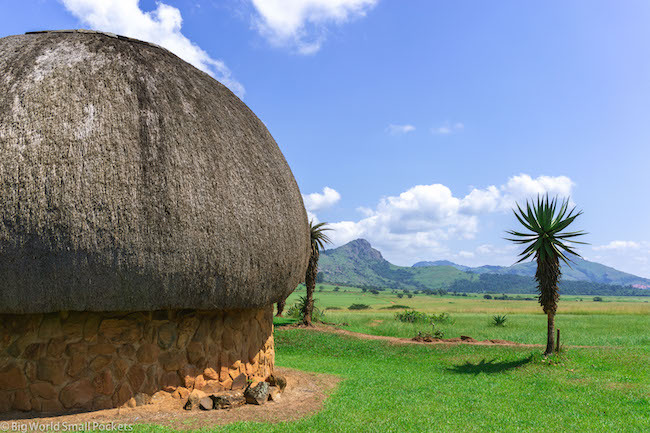 Without question one of the best things you can do in Swaziland / eSwatini, sleeping under more stars than you can believe exist, while antelope and zebra graze around you, is one of those quintessential African experiences you can’t miss here. With a unique and very strong traditional culture, no visit to eSwatini would be complete without learning a bit about how local people live out their cultural beliefs. 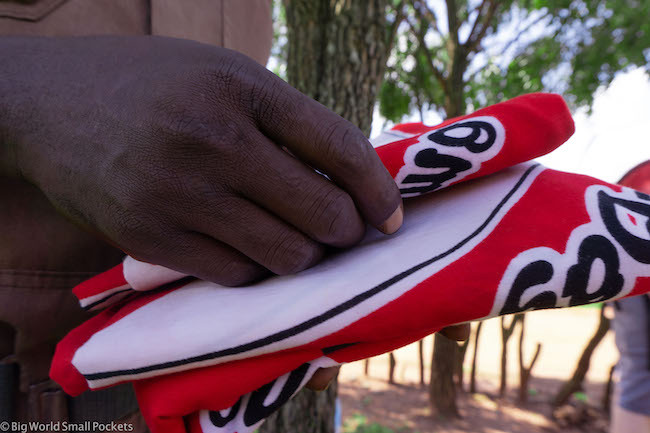 While many cultural practices here are controversial, such as the rule of the absolute monarchy and the ubiquitous polygamy, to discover more about how this operates and to speak to local people about their beliefs is definitely one of the things to do in Swaziland / eSwatini you should not miss. 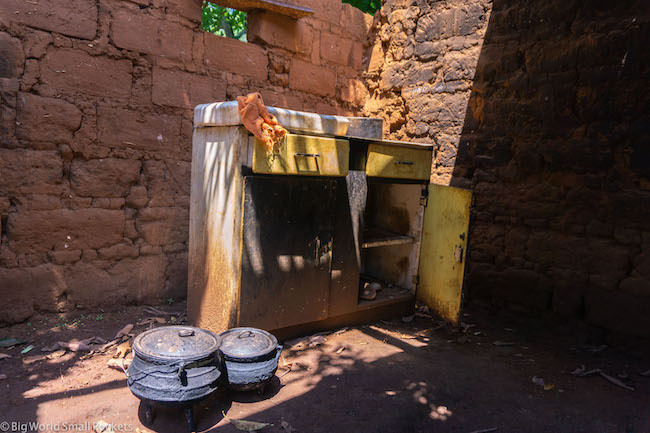 There are many village tours available throughout the country and I’m delighted to say that the one I got to experience with African Budget Safaris was very authentic and free from the often fabricated displays of indigenous culture so common during African village tours. 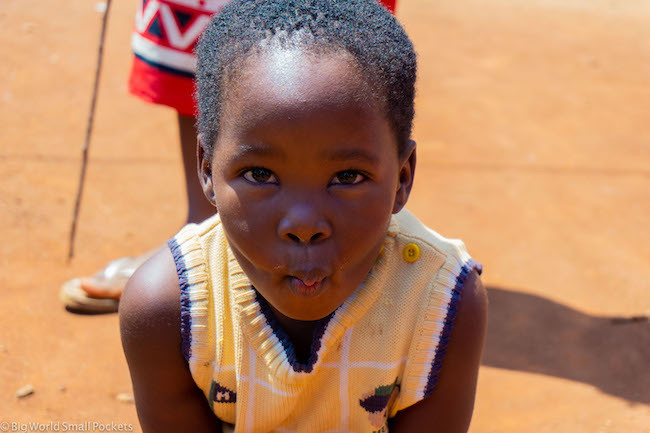 To see people’s houses, witness a school sports afternoon and learn directly from a young local person what living in eSwatini is really like, was a surprisingly interesting and genuine excursion. But back to the adventure, another of the can’t-miss things to do in Swaziland / eSwatini is brace yourself for some white-water rafting. The hot spot for this is the Great Usutu River, which is in the east of the country in the area of the Mkhaya Game Reserve. Here, the river passes through a gorge where perfect sets of rapids can be enjoyed even during the dry, winter season. Full and half day rafting trips are on offer and if you’re really brave, abseiling, cliff jumping and caving tours are too! 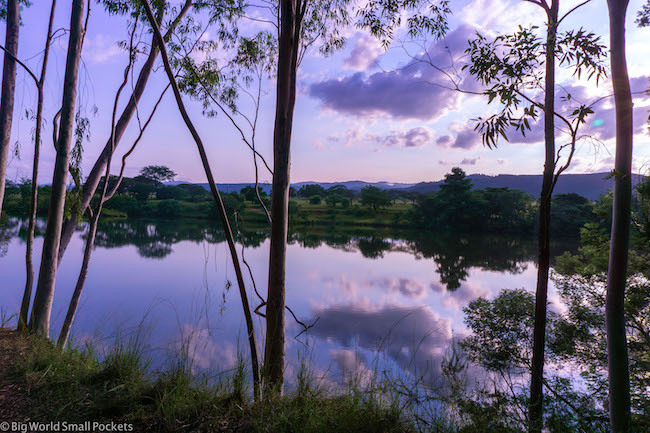 The gorgeous landscape of eSwatini is undoubtedly one of this country’s defining features. Often referred to as the Switzerland of Africa (although why we still have to view Africa’s amazingness through the lens of Europe I don’t know), however you want to describe it, the mountainous, green terrain of this country is jaw-droppingly gorgeous. 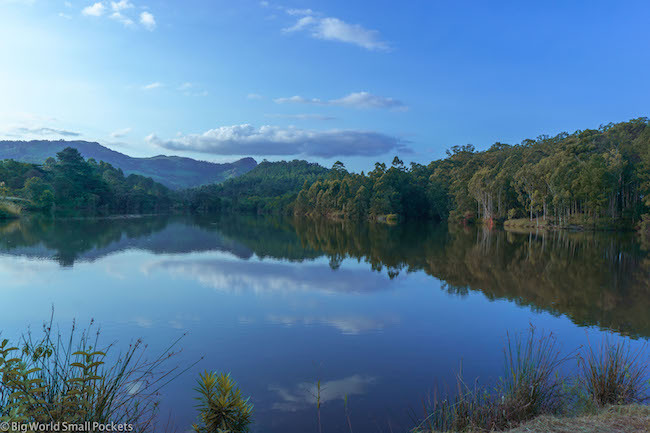 And getting amongst it for a hike is certainly one of the best things to do in Swaziland / eSwatini, with the Malolotja Nature Reserve or Mlilwane Wildlife Sanctuary providing 2 of the best spots. I would never think of travelling anywhere in Africa without proper coverage and always recommend travel insurance from World Nomads who I’ve used during my adventures across the continent and beyond. I love their great coverage of outdoor activities – crucial for travel in a country like eSwatini – as well as their excellent customer service and ability to claim online, which is very handy if you’re travelling in remote places for a long time. 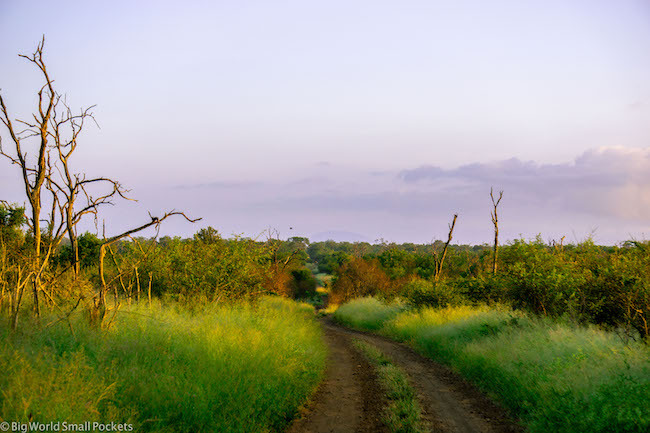 Also available to enjoy in Mlilwane Wildlife Sanctuary is some mountain biking, with the beautiful landscape of this reserve offering the perfect opportunity to get your heart rate up and the views of this country into your mental camera. 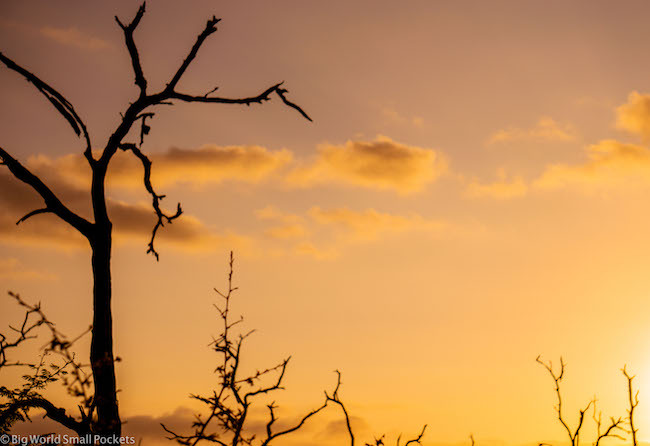 The good thing about this park is that there are no predators, so you can enjoy cycling past kudu, zebra, warthogs, wildebeest and many other delightful animals, without the fear of any danger. Well-marked trails make mountain biking easy to do here as a self-guided adventure, or you can take a guide too if you want to learn more about what you’re seeing. Another a great things to do in Swaziland’s Mlilwane Wildlife Sanctuary is enjoy some horse riding. Bookable via the Main Camp, where you can also stay in some delightful traditional “beehive” structures, hour-long guided horse rides that are suitable for beginners, will allow you to take in the impressive Nyonyane Mountain and its ominously named (find out how it got its name!) Execution Rock. #1 Lonely Planet Guidebook – The South Africa, Lesotho & Swaziland Lonely Planet is excellent and very helpful for any trip to Swaziland with lots of top tips and recommended places to stay. 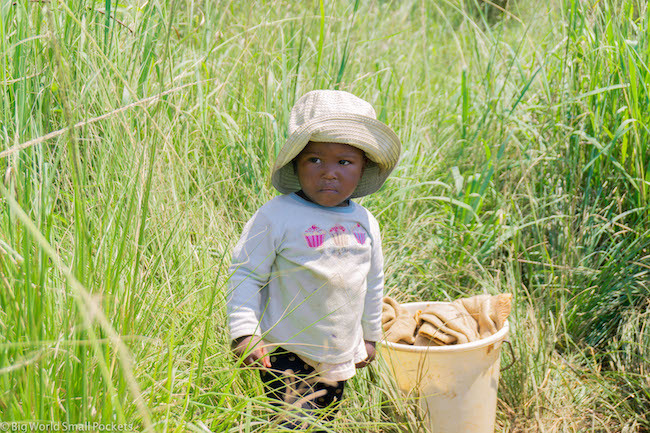 #2 Sunhat – eSwatini gets seriously warm, even in winter, and protecting yourself from those UV rays is crucial during any outdoor activities. I love this design from Hello Sunshine. #3 South African Power Adapters – Swaziland / eSwatini follows South Africa in terms of their power outlets, which are unique the world over, so make sure you come prepared with the right adapter. 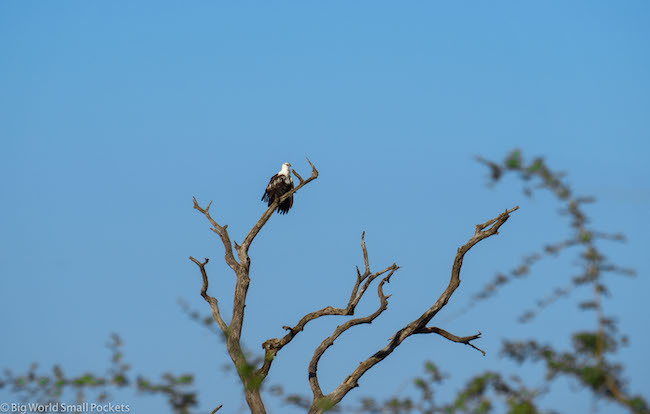 #4 Camera and Lens – I love my Sony A6000 mirrorless, which was ideal for capturing the wildlife and landscape of this amazing country. #5 Insect Repellent and Anti-Malarials – I recommend a 30% DEET spray to reduce the risk of malaria when travelling in Swaziland / eSwatini. With such a strong traditional culture, the handicrafts and souvenirs you can find in eSwatini are delightful and stopping to pick up some gifts for those at home, or for yourself in my case (! ), is definitely one of the best things to do in Swaziland. Shopping for souvenirs is also easy here, with many handicraft markets set up across the country, making it simple to purchase some unique items and support women’s cooperatives and local artisans at the same time. The Malkerns Valley area of the country is one of the best places to find them, so head here with a full wallet and an empty backpack! 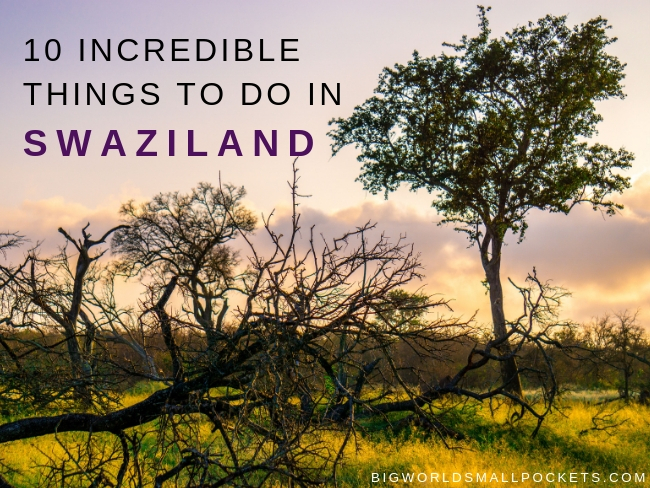 And last, but not least, one of the best things to do in Swaziland / eSwatini you can’t miss – even if you just drive through this country – is snapping the gorgeous landscape. The green hills, amount of trees and lack of obtrusive infrastructure here, really demonstrate what a stunning rural country this is and strongly impart of a sense of Africa as still untouched and raw. One of the best places to take it all in is from Sibebe Rock, just outside the capital Mbabane, which is actually the second biggest monolith in the world after Uluru in Australia! Climbing this huge natural structure can be dangerous however, so I’d highly recommend taking a guided tour, which can offer a good non-technical, albeit hard, climbing option. 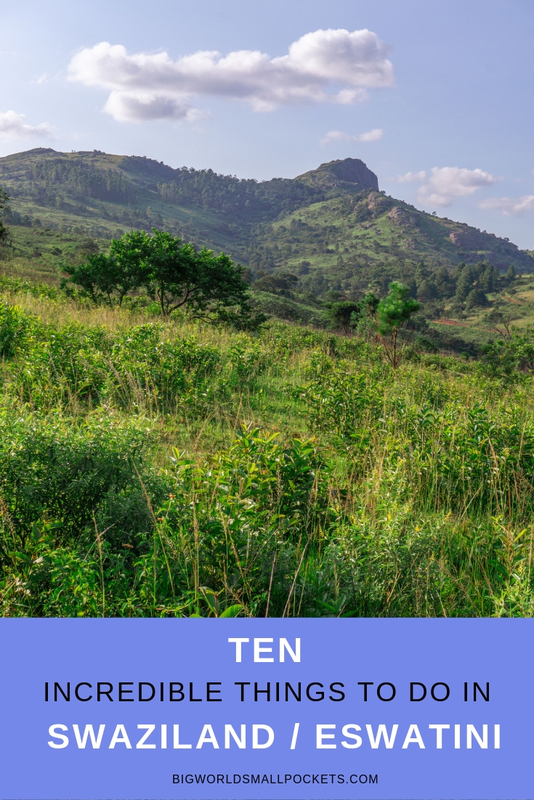 And that’s it, my list of the 10 best things to do in Swaziland / eSwatini. Even spending a few days in this small country will give you a great feel for its uniqueness and the chance to visit a few of its spectacular national parks and reserves, which really do exemplify the best of its beautiful landscape.